With the ever-expanding variety of breast surgery options available, women might have a tough time making a decision as to which procedure may be best to fulfill their vision for creating a perfect anatomy. In most cases, women are clear as to what type of cosmetic procedure they may be interested in, be it breast augmentation, breast reduction or breast lift. However, in some cases, there may be some confusion as to the ideal way to get the operation done in order to meet the woman’s stringent expectations for her ideal body image goals. Remember, virtually all forms of plastic and cosmetic surgery have many procedural options that can achieve the same objective. However, finding the best surgical technique can be a highly confusing path for many pre-operative patients. This informative essay helps women to choose the best surgical technique for their specific body image needs and wants, by providing helpful tips and advice from experts within the aesthetic industry. 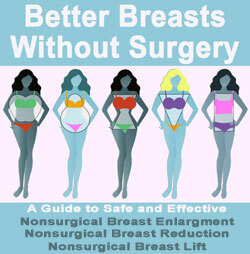 Many women write to us asking about the differences between breast lift and breast reduction. Many of these women feel that they need both procedures in order to fulfill their anatomical objectives. While the operations are similar in theory, the goals of each are quite different and lifts can be far less invasive than most reductions. Specific case circumstances will indicate which procedure is best, but generally, if the breasts are mainly too large, then reduction is the solution. If the breasts are sized about right, but are ptotic, then a lift is better suited. Once the choice has been made between reduction and lift, then the woman has to decide which type of procedure will be used to accomplish her goals. In reduction patients, there are far fewer choices, but women seeking breast lift have many, many options. Be sure to research all your possible choices before making your final decision, in order to optimize the chances for a positive and satisfying result. We detail every conceivable method of breast lift and reduction in the respective sections of this website. Of course, some women do choose to undergo both procedures to reduce bulk and improve anatomical placement. Remember, lifts can be easily added into reduction procedures and some degree of reduction can be added into the more invasive lifting operations. Women who are seeking surgical breast augmentation have already decided that they will get implants in order to increase their size. This is the easy part. However, there are an incredible number of variations in how this surgical endeavor can be accomplished. There are differences in the placement of the incision, differences in the position of the implants inside the anatomy and a vast amount of choices in actual implant prosthetics. Women must choose between silicone or saline-filled implants and then sort through other options, such as texture, shape and size. They must also figure out how they want the implants placed, with 4 main options being common and several sub-options adding interest to the mix. There is no doubt that choosing the perfect breast implants and the ideal surgical approach can be a very intricate and anxiety-filled process for women who have not done their research. This is why we always tell patients to learn all they can about their many procedural options and then discuss the pros and cons of each with at least 2 to 3 doctors, before making a final decision. Breast reconstruction patients have similar choices to make, but many might also consider reparative augmentation using completely natural tissue. 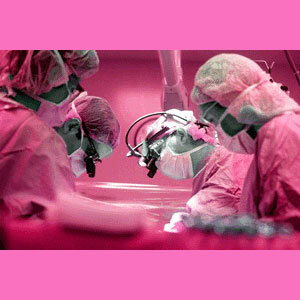 Even once this choice has been made, there are still several available varieties of organic breast reconstruction available, including the TRAM technique, the latisimmus-dorsi method and the free grafting approach. Breast plastic surgery is a wonderful way for women to attain the bodies they have always dreamed about, or repair the bodies which age, disease, pregnancy and/or breastfeeding have taken away. Aesthetic surgery should never be taken lightly and all risks must be understood and addressed before proceeding with any operation. However, for women who have a definitive anatomical goal in mind, and will not let anything get in their way, the cosmetic surgery process can finally put to rest long-standing and deeply-held body image issues which have decreased the quality of life for years or even decades. If you need help deciding on any aspect of the operative process, we highly recommend learning all you can and then discussing your concerns with several qualified plastic surgeons.